At the beginning of the Gondo arcade street is Hakata Tonkatsu Ramen, a ramen speciality store that serves some of the best ramen in town. The style of the ramen is from the south of Japan, from the district Hakata in Fukuoka Prefecture. 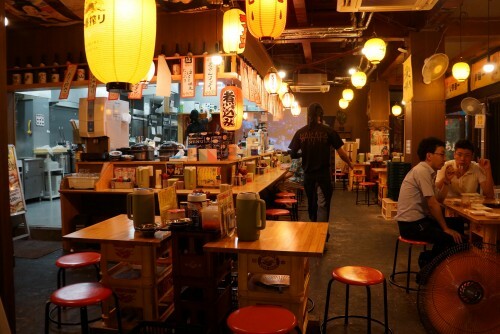 The izakaya (or bar in English) will introduce you to some completely different ramen flavors. Besides ramen, staple izakaya dishes like corn, gyoza dumplings and more are on the menu! The interior has a warm feeling to it, with the sides of the store facing the street being completely open in the warmer seasons so you can enjoy some people watching as well. Take the number 1 exit from Gondo Station and take a right turn to the arcade street. 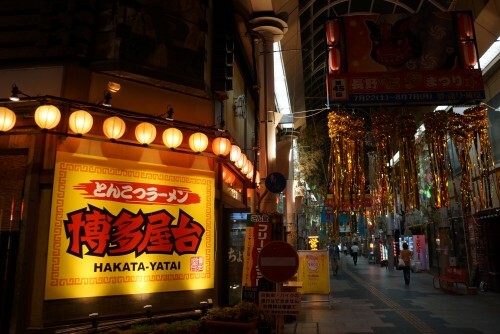 Follow it all the way to the end of the street and you'll the Hakata Tonkatsu Ramen restaurant on the right corner of the street.